Jersey is the biggest of the Channel Islands, just off the coast of France, and the last remnants of the Dukedom of Normandy. Although technically part of the United Kingdom, the islands are considered their own separate territory and have their own set of taxes and laws. Travelers come to the Channel Islands for the cafes and relaxed atmosphere. Further south than the mainland, the Channel Islands have better, sunnier weather in the summer and have become something of a tourist attraction because of the duty-free status of much of the goods on the islands. Similarly, an open banking policy brings in much of the world's wealth to these islands. Jersey in particular has a flourishing bar scene. Although they're not the usual pool-table and dart-board places that you might expect to find in London, you'll find full wine bars, live music, and even several bars serving absinthe. The Channel Islands are only accessible by a flight from several locations around Europe or a ferry from France or England. Flights depart from several airports around London, France, Germany and the Netherlands and can be easily connected with an international flight from North America, Asia or where ever you're coming from. There are no trains on the islands but a rather reliable bus system on each island makes it easy to get around. The islands are also small enough that you can walk or bike almost anywhere you need to go. Jersey is not known for its budget accommodation. In fact, most of the hotels on the island are four and five star establishments geared more toward the luxury crowd. The island's only youth hostel is located on the far end of the island in Gorey Village. 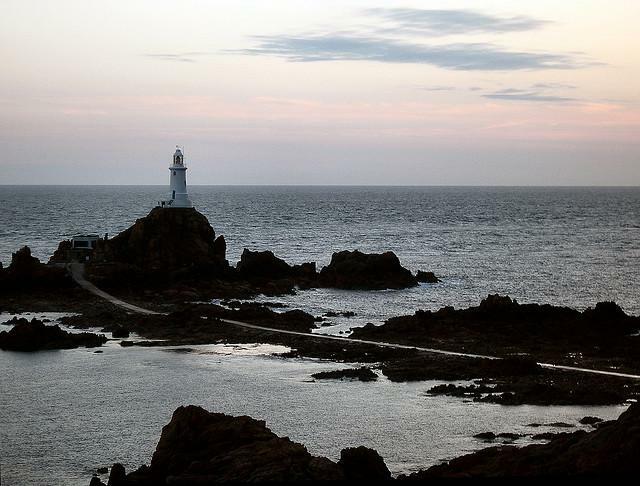 If you need more information about Jersey or the Channel Islands, check out the bootsnall message boards where your questions are answered and your answers questioned.